Leo Fender had a greater impact on modern music than most. He didn’t play or compose, but he created the instruments that even to this day are the cornerstone that makes other musicians sound good. 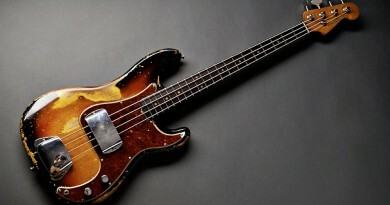 The debate of whether the Precision bass or the Jazz bass is the low-end champion of all times is probably one of the oldest, yet most persistent, of all among bass players. Both are passive, timelss and unique classics from the 60’s that will sit well in almost any mix and genre of music. 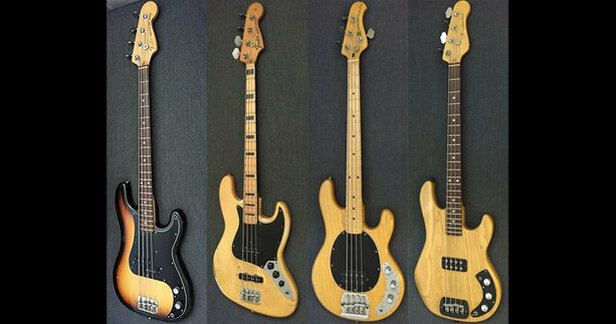 And as if that wasn’t enough, Leo Fender once again changed the game of bass with his active Musicman StingRay and G&L L-1000 basses in the late 70’s and early 80’s. First up is a Fender Precision bass from 1979 with no use of the passive tone control (treble roll-off). Love it! Such a classic tone. In a live setting I usually play it just like this – with no tone control applied at all, but I know that many like to roll off a bit of treble, so here is a version with approximately 50% treble roll-off. Sound great too to my ears. A little less edge, of course, but a warmer and very pleasant tone as well. Next, let’s hear a Fender Jazz bass from 1972 – a nice ash body / maple fretboard bass that sounds like this. Also a classic tone that sounds great. Different than the P bass, but great. Next up is an active Musicman StingRay bass form 1978. It has relatively fresh strings on and tend to be a bit clanky without a little tweaking on the built-in 2-band EQ, so I gave the bass a slight boost and cut the treble a bit as well. A third flavor of great. The tone is a bit more nasal by nature – even with the slight EQ-ing you can sense it, but that is definitely a very big part of what makes the punchy StingRay sound and tone so nice. 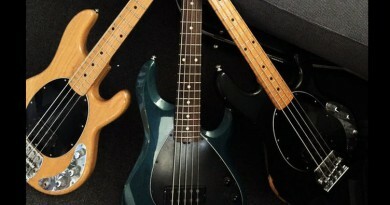 Finally, let’s check out the G&L L-1000 bass. 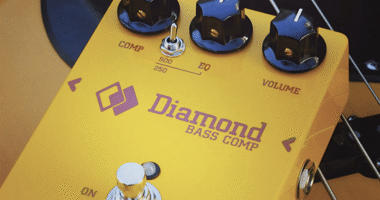 It has a humbucker in the same position as the Precision bass, but it offers boost on bass and treble as opposed to the P bass that offers treble roll-off. In this case, the L1000 has a slight bass and treble boost. There are two versions as you can switch between parallel and serial wiring of the coils in the humbucker pickup. 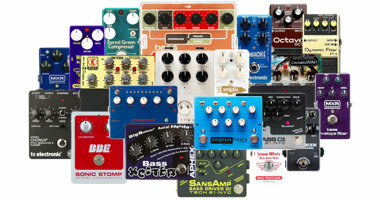 As mentioned, I really have a hard time deciding which is the better bass of this classic bunch, so I won’t pick a ‘winner’ or personal favorite this time. 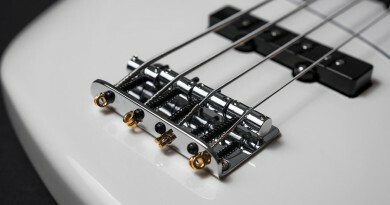 But if you want to hear more details of each type of bass, you can tune into these 3 shootouts involving a lot of Precision, Jazz and StingRay basses!